The first time I sought professional counseling, I felt terrified and ashamed. What will people think? I should be able to handle this on my own. This is just a spiritual problem. I don’t need a therapist! I spent my teen years trying to handle my struggles quietly through prayer, spiritual development, and self-will. If I just pray hard enough, if I just have enough faith, if I just surrender it all to God, if I just choose to not give in, if I just try harder, then I will get through this without anyone ever knowing. In some ways, this appeared to work for a while. People who looked at me didn’t think I was sick. I kept up with school, work, and social life. I convinced myself that I was okay, and most people seemed to be convinced too. But suppressing my struggles only worked for so long. Eventually, fighting in silence caught up with me. Never addressing the underlying causes of my struggles caught up with me. Failing to seek professional help caught up with me. At age 19, I hit rock bottom. When I finally sought professional help, I realized that so much of what I feared about therapy was based on misconceptions and stereotypes. Seeking help didn’t mean I was crazy. Needing counseling didn’t make me weak. 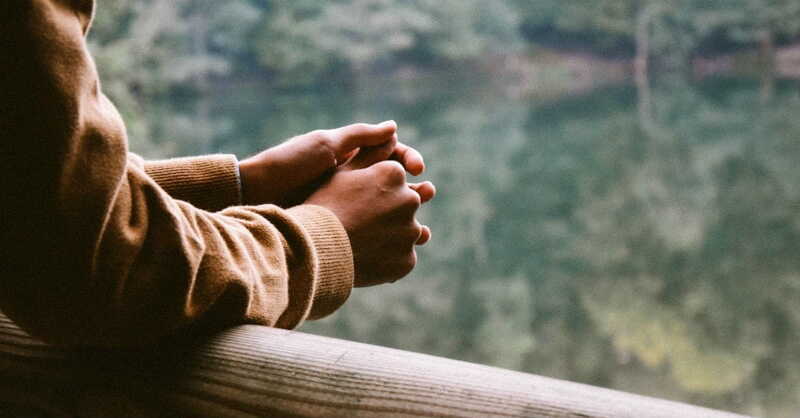 Meeting with a therapist didn’t mean I had stopped relying on God. Instead, I realized that everyone has struggles. We all experience seasons when we could benefit from quality counseling. And, although it’s never easy to shine a light on things we’d rather keep hidden, God can use counseling to bring about tremendous healing in our lives. Are you hesitant to seek counseling? Don't let these seven myths prevent you from receiving the help you need. When we face difficult seasons in life, it’s easy to compare our situation to others. We look at people who are worse off, and we tell ourselves: Things could always be worse, this problem isn’t that big of a deal, these symptoms don’t meet the diagnostic criteria for a clinical disorder, I’m fine. We assume that because we aren’t that severe, we don’t need help. Unfortunately, this lie that things must be severe in order to seek counseling keeps far too many people from getting the help they need before things become severe. Whether the difficulties you are facing are related to your marriage, mental health, grief, or something else, early intervention can make a huge difference! The longer we let problems linger under the surface, the stronger they grow. Seeking help early, regardless of what you’re facing, is always better than waiting for things to worsen! Don’t wait for other areas of your life to be affected. Don’t wait for people around you to realize you need help. Don’t wait until you meet some criteria that you’ve decided is necessary before letting yourself reach out. Seek help today, before the strongholds in your life grow any deeper. When people come from difficult backgrounds, it’s easier for our society to acknowledge that counseling might be needed. But what about those who have wonderful families and supportive friends? What about the people who, from the outside, look like they have everything going for them? Do they really need counseling? Being blessed with wonderful people in your life does not make you immune to struggles. People who have everything going for them can still find themselves in unspeakably difficult seasons. Even with the most supportive community around them, they can still experience times when counseling is necessary. In fact, quality counseling will help those relationships grow even healthier. Our friends and family need us to prioritize our mental and emotional health. We can better pour into them when we are taking the time to take care of our own needs. We can’t fully show up as a loved one if we are barely surviving under the surface. If you need counseling, prioritize your mental and emotional health today and seek help from a trained professional. You will be in a healthier position to pour into others, and your loved ones will feel relieved to know that you are taking your self-care seriously. Being a Christian does not make you immune to emotional and mental health challenges, and it certainly doesn’t disqualify you from needing professional help. If you thought you were having a heart attack, would you refuse to seek immediate medical attention simply because you are a Christian? Of course not. Mental health is no different! Just as you need a skilled surgeon to perform open heart surgery, you need a skilled counselor to help you navigate your unique mental health needs. Let a trained therapist walk alongside you on your journey, shine a light on the path, and give you tools to cope with your specific needs. Rather than using religion as an excuse and refusing to seek help, let your faith in God’s promises fuel your fight for a healthier life and seek help today. Shame is one of the deadliest grips the Enemy uses to trap people in darkness. If he can get you to believe your brokenness is too shameful for others to help you, he can keep you exactly where he wants you--isolated, ashamed, and enslaved to your strongholds. Friends, I don’t know the details of your lives. I don’t know what you’re struggling with or why you need professional help. But I know you will never break free if you continue hiding in shame. After a tragedy results from someone’s mental health struggles, people often wonder what would have happened if that person had sought help. What would have happened if that person had told someone what they were struggling with internally? All too often, shame convinces us that we can’t tell anyone what we are battling. Shame convinces us that we don’t deserve help. Shame convinces us that we are too damaged or too dirty to ever step into the light with our problems. But our God already paid the ultimate sacrifice so we no longer have to be bound by the shackles of shame. Regardless of your battle, there is someone trained to walk your journey with you. Find a provider skilled in your situation and start moving out of the darkness. Admitting to others that you are in the trenches is not easy, especially if you’re in a position where people expect you to lead by example. But once you remove your mask and stop pretending to be perfect, you will quickly find that everyone has their struggles. No one is perfect. No one has it all together; and no one except Christ belongs on a pedestal. So let it go already! If you really want to lead others, show them how to confront their struggles rather than run from them. Show them it’s okay to seek help. Be a testimony of how God can redeem all things when we stop hiding in shame. Let them witness your courage and authenticity firsthand; and you will gift them with the freedom to do the same. Do you feel like you have fallen too far to ever be able to climb back out? Does the pit you’re in feel too deep to ever escape? Have your struggles been part of your life for so long that you can’t imagine ever being able to break free? Did you try therapy in the past and it didn’t work? As long as your heart is beating, it is not too late. You are not too far gone. Christ’s redeeming work does not stop once you reach a certain threshold in your struggles. I beg you, do not give up! No matter where you are, no matter how impossible a brighter future seems, do not give up. If your old therapist didn’t know how to handle your situation or wasn’t a good match for you, find a new one. I have seen people whom no one thought would ever break free from their battles and find a healthy, full life. Your story does not have to end in despair. Find a therapist who is willing to work hard with you, who believes you can rise up from the ashes, who encourages you to cling to your hope in Christ, and who urges you to never give up. Maybe you agree that counseling is something you need, but you are terrified because you don’t believe you have the strength to face your past. I won’t pretend that it’s easy to shine a light on things that you’ve tried desperately to suppress. But walking through those shadows with a wonderful therapist who can comfort you and help you process things along the way is far better than trying to walk this journey on your own. Then when the shadows feel overpowering, you have a hand to reach out to you and a voice to speak truth into your pain. You have a safe space to process and a trusted counselor to help you cope. When it still feels like too much, remember that the power of Christ is dwelling within you. He is walking into every therapy appointment with you. He is going into every bit of darkness before you, fighting on your behalf, and holding you the entire way. You can do this. You can face what you need to face. And you can come out stronger and healthier on the other side. Kimberly Carroll is a military spouse, mother of toddlers, and graduate of UNC Chapel Hill. She has a heart for the weary and broken-hearted, holds tightly to her eternal hope in Christ, and values vulnerability over perfection any day. Follow Kimberly on Facebook and her blog as she discusses mental illness, body image, community, faith, and the importance of never giving up.